Blog CreatAthon Arizona...24 hours of straight design! 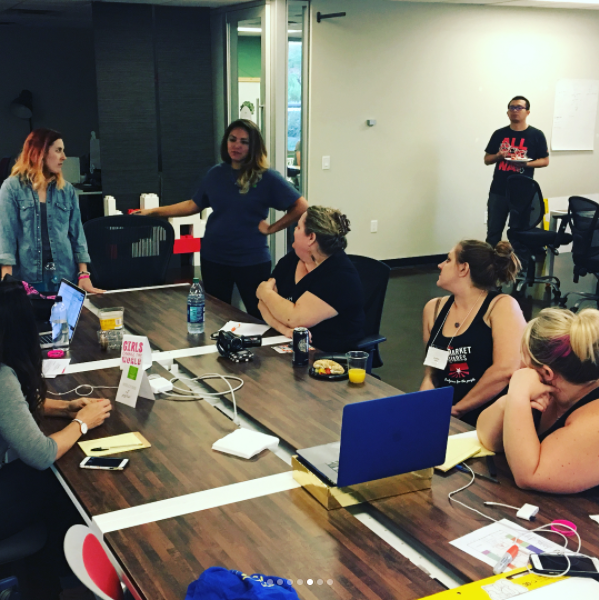 CreatAthon Arizona…24 hours of straight design! 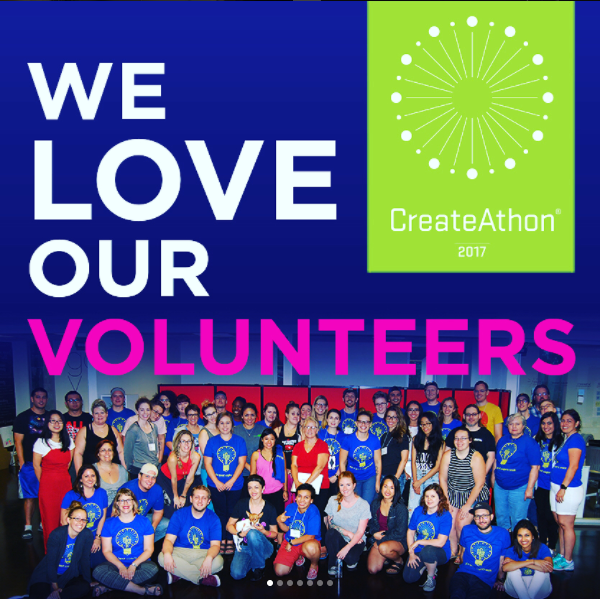 I first learned about CreatAthon, which was started by an agency in Columbia SC, when they came down to Charleston a couple of years ago, where I attended a lunch and learn about what CreateAThon is and how any agency or company can essentially host their own. Since moving to Phoenix, and working remotely, I’m always looking for ways to get out and connect with the local design community and I thought this would be the perfect opportunity. AIGA Arizona was actually the hosting organization and put the event together. This was the second time they’ve ever done it and it was hosted at a very cool co-working space called Co+Hoots in downtown Phoenix. My CreateAThon team supported the Girls Rule Foundation, which was looking for everything from graphic design to development, UX, Photography, copywriting, marketing, etc. to help launch their dreamLAB program nationally. 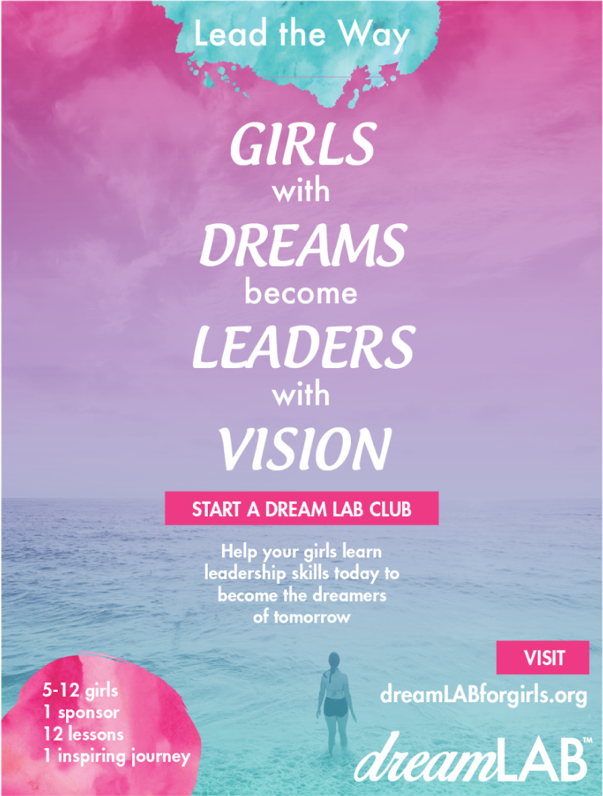 dreamLAB is an inspirational after-school club designed just for young women ages 12 to 18. Each club has an adult sponsor and a student president. The meetings themselves are led by the girls. During the meetings the girls will learn and explore the 12 Girls Rule leadership principles that will help design their dreams, build their leadership skills, empower their greatness and create positive friendship. The volunteer team consisted of an Arizona State University UX Professor, a UX Masters Student, the owner of a marketing company, an in-house editor for a luxury realty company and me. Girls Rule needed the most help and advice to be centered around their dreamLAB program because the owner, Dena Patton, wants to go national. First, the team started with establishing a style guide using existing Girls Rule branding, and then created a visual watercolor-based treatment for dreamLAB. They provided her with this reference guide to outline colors and fonts, photo treatments, the voice and tone, a positioning statement, and so much more – all for consistency. They created a full social media campaign and set up the org with Hootsuite and all branding and images in Canva so she is ready to launch with the press of a button. They fixed the lack of responsiveness in the org’s website, as well as pixelated imagery in the header, and they simplified the dreamLAB webpage. AND we stayed up to do all this in 24 hours! AND we had to present to the whole group of volunteers at 6am, followed by a client presentation. But it all was so worth it when Dena started crying in the middle of the presentation and was truly grateful. Truly, we did not even take a nap. There was so much caffeine! The only real bummer was losing AC in the middle of the night as the building was programmed to turn off between midnight and 6am (Whew! Tired and hot is TOUGH) And of course, I wore my awesome new BlackbaudCARES tshirt! When I was asked why I chose this project over something different like a hands on opportunity or different cause by our Corp Citizenship Coordinator at Blackbaud I felt that, personally, what I think is nice about skills-based volunteer opportunities is that there isn’t a learning a curve and I feel confident about what I can do for the organization from the start. One of the last things I did that was hands-on was for SCORE in Charleston, bagging oyster shells to make a reef, and they had to teach us all how to do it and along the way we figured out the best strategy, how to be more efficient, etc. While that was fun, up until the moment that we were actively doing it, I kept thinking “How does this work? What are we going to do? Can I do that?” When using my web design and graphic design skills, I know right away that I can do that and the pressure of learning a new skill, trade, and/or system is gone. It’s just that perfect combo of making a difference in my community with the skills I’ve learned as a professional.